Welcome to Chicago Glass & Mirror! As our name suggests, we are experts in all things glass and mirror – if it’s for the bathroom, kitchen or any other room in your home or commercial facility, we can help you with any renovation project involving glass! 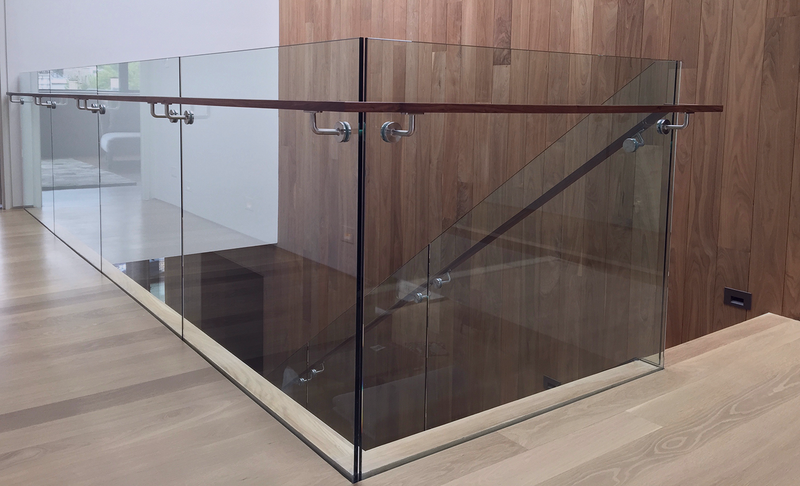 Customers of Chicago Glass & Mirror benefit from our superior service and glass for virtually any project! That is why were are considered a leader in glass for showers and bathrooms. 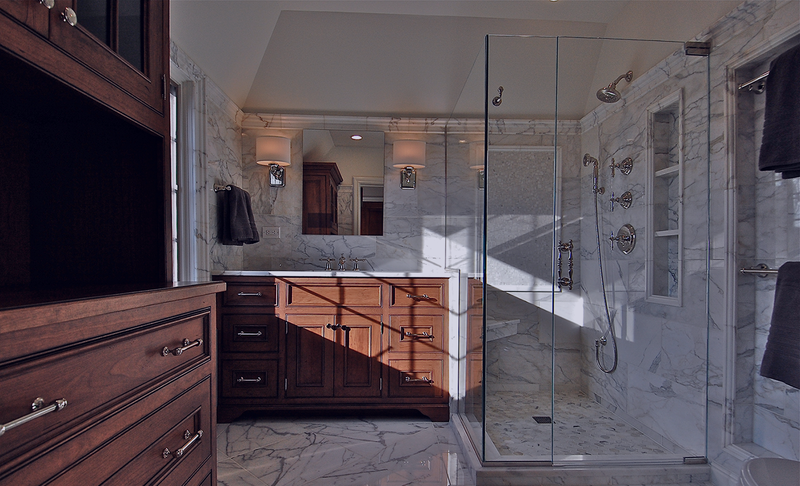 Whether you are redesigning your bathroom at home, you are a designer in need of custom mirrors, or you are a contractor that needs a shower door that fits just right, come speak to a friendly Chicago Glass & Mirror associate about your unique project. Please take the time to look through the products and services we offer as well as some of our past projects. If you’d like to see more or have any questions regarding our services, you can visit our showroom – open six days a week – or give us a call during regular business hours. Chicago Glass and Mirror has specialized in the production and installation of shower doors for the past 25 years. Our one of a kind hinge system allows the glass panels to remain so close together that it eliminates the gaskets that you will find on other shower doors. Chicago Glass and Mirror provides glass installation for various interior door and wall needs. Whether you want a new, modern door leading to your closet or a wall to divide a large room into two separate rooms, glass will give your project a classy look. Chicago Glass and Mirror provides glass installation for various interior door and wall needs. Whether you want a new, modern door leading to your closet or a wall to divide large room into two separate rooms, glass will give your project a classy look. With glass, the style choices are virtually endless! As one of the leading providers of mirrors in the chicagoland area. We offer a wide range of custom mirrors – everything from a standard mirror in a bathroom to custom mirrored wall in a fitness room. There really isn’t anything that we can’t accomplish in this market. Continue below to see just a glimpse of some of our previous projects. 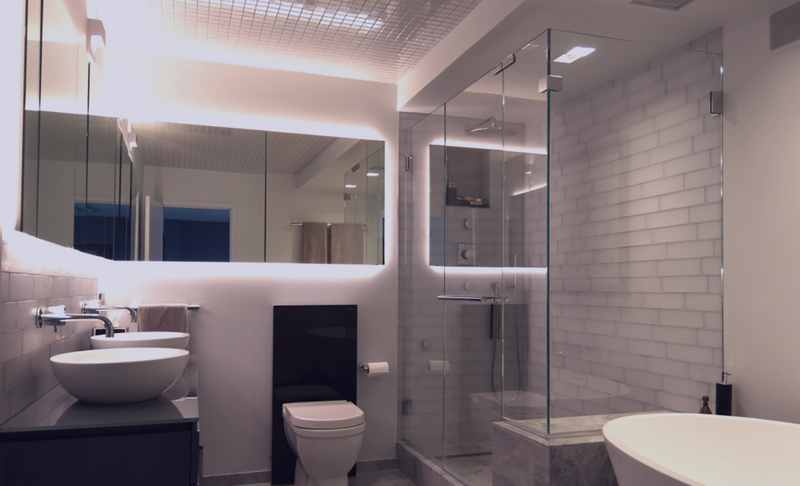 In addition to our residential projects, we have been involved in a wide variety of glass and bath renovations for commercial clients in the Chicagoland area. Over the past few years, we have completed the following projects, from point of sale to project management, as well as the installations.